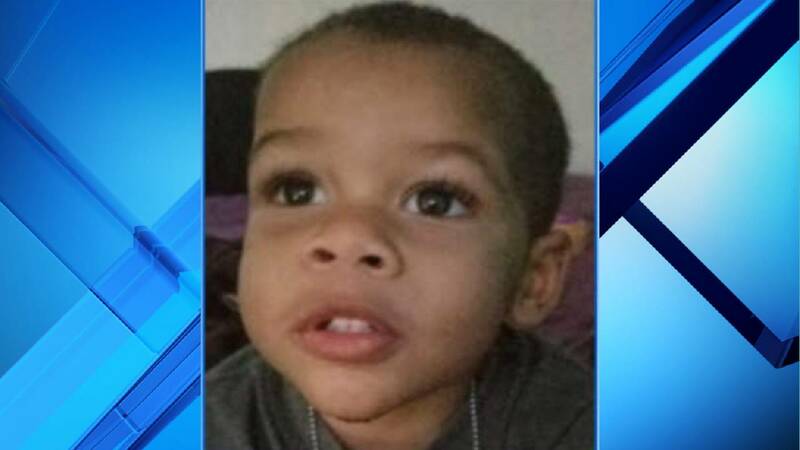 LARGO, Fla. - A mother faces a first-degree murder charge after the body of her 2-year-old boy was found in a wooded area. Police said in a news conference Tuesday night that they are arresting Charisse Stinson in the death of her son, Jordan Belliveau. Earlier Tuesday, the Florida Department of Law Enforcement confirmed Jordan's body had been discovered and that the Amber Alert for the boy had been canceled. Details about where Jordan's body was found were not immediately available. The Amber Alert was issued over the weekend after Stinson said she hadn't seen Jordan since she was knocked unconscious after accepting a ride from a man while she was walking with the boy. Stinson told authorities she and Jordan were on East Bay Drive around 9:30 p.m. Saturday when the man who gave the name of Antwan in a Toyota Camry offered them a ride. An altercation took place once they were inside the vehicle, and Stinson was knocked unconscious, according to initial reports. When she woke up around 1:30 a.m. in a wooded area of Largo Central Park, Jordan was nowhere to be found, she told officials. Since his disappearance, authorities had been searching for Jordan and asking residents to check any places near their homes where young children might go to hide. Authorities announced that Jordan's body had been located shortly after they said they had made a "big break" in the case.